30530 Features: -Perfect gift for any mom to be. -Cotton percale print throughout the hood and trim along. -Fun, modern printed cotton percale on the front and terry on the back. -Dot print in avocado green, barn red, sunshine yellow, cornflower blue and powder blue. 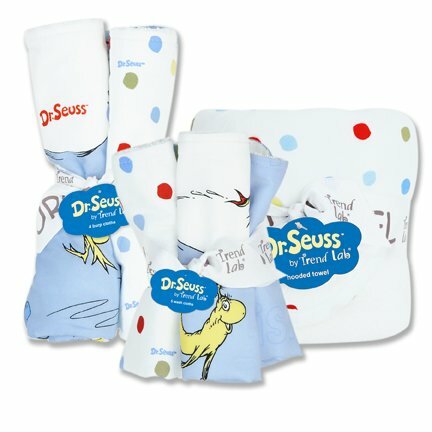 Product Type: -Burp Cloth Sets. Dimensions: Overall Product Weight: -2 Pounds.